Unprofitable business is the quickest way to kill your business which you will soon see on your bottom line. It’s therefore imperative to try and identify it quickly or look for opportunities exist to improve profitability is the sales before tampering with any other process. 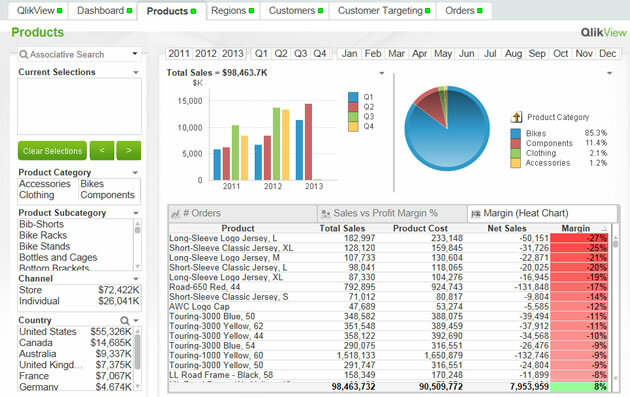 For starters, this dashboards ensures that the % Gross Margin is healthy and within an acceptable range. This may however vary over time as the product mix and volumes change during the normal course of business. When viewing item profitability it’s important that the Cost of Sales is accurately recorded in the underlying system. Your costing model may be very simple (Moving Average) or very complex (Activity Based Costing) or somewhere in between (Standard Costing). The KPIs and measures used are the same as Order and Item profitability. The analysis is performed at the item or item grouping levels. Understanding Customer Profitability is probably the trickiest the profitability dashboards. In some businesses, customer probability is the same as Item profitability except that they data is aggregated by customer and not just item. This section of the dashboard is where the sweet fruit grows. Let us help you harvest the allusive super profits.